Earlier this year, I learned about a game developed by Ellen DeGeneres that I’m applying in my ELL classroom and, now, today, I’ve learned one from another television star — Jimmy Fallon. He played a game with Tina Fey that he called “Box Of Lies.” Several items are put in boxes, a player chooses one of them and the other player can’t see what’s inside. Then the player who picked the box has to describe what is in the box — or not. The player can choose instead to lie and describe something else. Then the other person has to decide if it’s a truth or a lie. 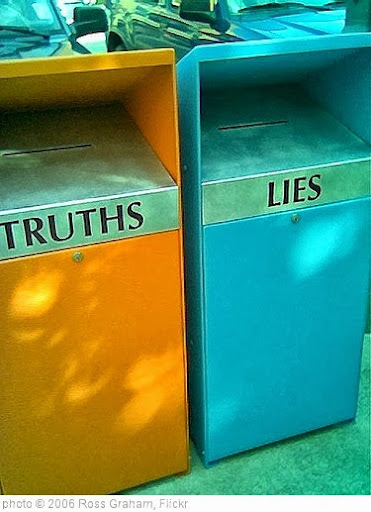 Obviously, it’s a slightly different take on the old stand-by game of “Two Truths and a Lie,” but it’s a nice variation that can easily be using in classes. And certainly you can just put a few things in bags that students choose.